Choose your style and select your preferences. It will only take a few minutes. Our ties are woven with premium microfiber, cotton, and wool materials. With 3.15” inches at its maximum width, it’s perfect for any man no matter the occasion. And of course, they come in a variety of popular patterns and colors. Also available in a length of 63” for those men on the taller side. 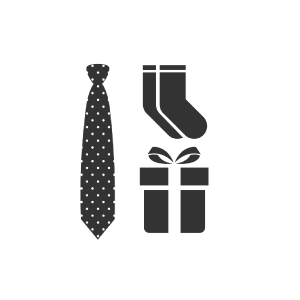 Our silk ties are made from the finest silk fabrics and crafted by dedicated tailors with years of experience. The patterns are inspired by top European brands that set the trends in the fashion industry. Each silk tie is 3.15” inches at its maximum width and 58" in length. 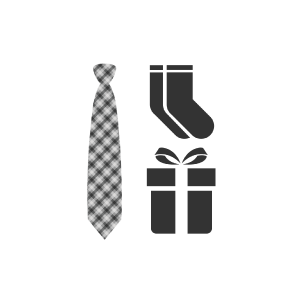 Skinny ties are the relics of 60’s rock bands yet are popular fashion accessories for trendy millennials. 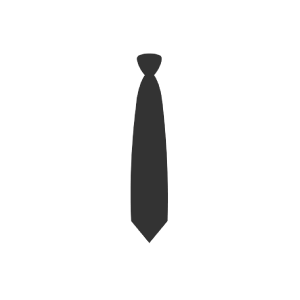 Our Skinny ties are also woven with premium microfiber, cotton, and wool materials. With 2” inches at its maximum width, it’s perfect for inspiring a casual, energetic vibe. Rick Kaplan once said, “Wearing a bow tie is a statement. Almost an act of defiance.” Choose between self-tying bow ties or pre-tied bow ties. With hundreds of different type of colors and patterns, you’ll no doubt look like a true Spiffster. Yes, we deliver bamboo fiber socks! They fit men's shoe size of 6.5-12 and are the most comfortable, hygienic, light, and stylish pair of socks you'll ever wear. Learn the advantages of wearing socks made of bamboo fiber and why it compares to no other. Looking for a dapper combo of style and savings? Look no further. You can get a pair of our bamboo socks (fits shoe size of 6.5-12) and tie delivered to you every month for a starting price of $18.95 per month. It's the best sock and tie subscription you'll ever experience. Makes a wonderful gift for men as well. Prefer silk ties and bamboo socks? We've got the perfect subscription for you. You'll get a silk tie (3.15” wide and 58" in length) and a pair of our bamboo socks (fits shoe size of 6.5-12) delivered straight to your door. Makes a wonderful gift for men as well.